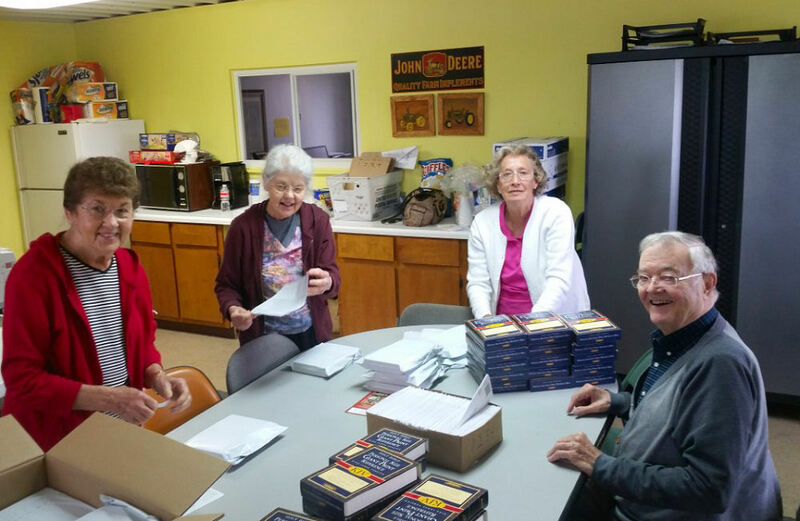 We had a good crew show up today for the Bible wrapping. Edie, Roma, and Anna showed up all at once with Chuck coming in a bit later. The 5 of us got every Bible in the place stuffed and wrapped and 82 of them mailed out. We will need to order another pallet load of Bibles for Tuesday. A big thank you to these dedicated willing workers.